A NEW cutting edge science facility is under construction at Wesley College to help encourage science, technology, engineering, arts and mathematics (STEAM) education. The new centre, named a Science Centre for Tomorrow, is at the forefront of secondary education and aligns closely with STEAM philosophy. Utilising modern technology, the building itself serves as a science experiment, allowing students to interact with live data on light, movement, sound and rain water collection. The plans also feature multi-disciplinary and collaborative spaces with technology and equipment including parabolic dishes, molecular microscopes, telescopes, as well as the installation of a bee hive. 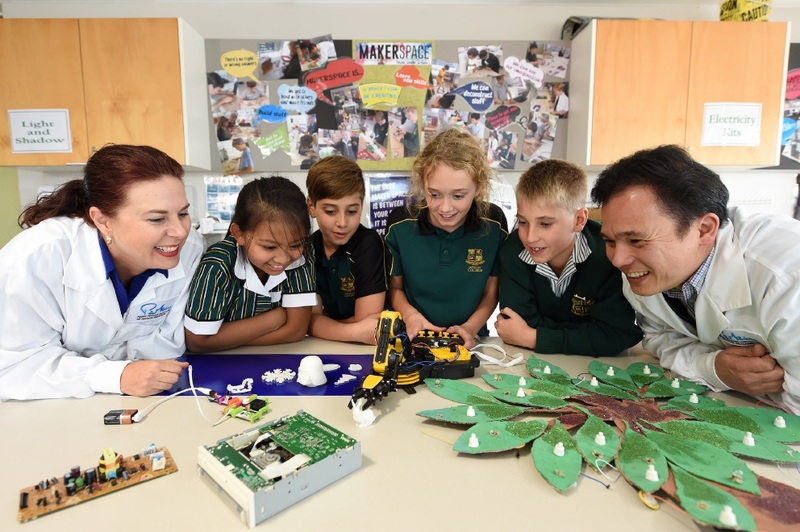 Welsey College headmaster David Gee said learning and teaching STEAM was pivotal. “In today’s fast-paced environment of ever-accelerating scientific discovery and economies driven by technological advancement, teaching in science has never been more important,” he said. “Our science facility redevelopment is an opportunity for us to actively engage more students by making it an inspiring space for all. The science centre will include a three-storey living wall with aquaponics set up, to enable students to work on and monitor environmental conditions. A two-storey drop zone will also be installed to experiment with gravity, including a wind turbine to send objects back up against a gravitational pull. Building work on Wesley’s Science Centre for Tomorrow has commenced and is scheduled to be completed next year.